So to make rings and necklaces you can craft them. If you craft them you get a uncommon green item with one stat on it. To make a blue version, you need to put 3 greens in, to get a purple you need to put three blues in. A legendary takes three purples. It gets expensive! Especially when you are looking for a particular stat. For example, if I am looking to make a legendary ring, it can have four stats on it. That means I need a purple with one pure stat A on it, one with pure stat B on it and then a third with my stat C and my minor stat D on there. 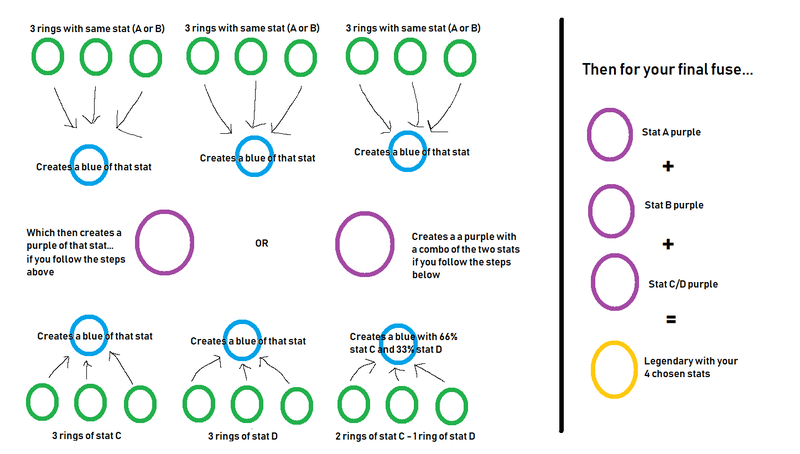 You can add gems into the purples but do not under any circumstances add gems that give a stat that is not present on the ring or you are going to screw up the four stat list that you have sunk a lot of gold into making!